EPAC Revolution Dance Company is under the instruction of Melissa Anderson, Danielle Chase, Marisa Swan and Kayla Walker- Fleurant. Pictured are members of the Expressions Performing Arts Revolution Dance Company Sr. Tap group competing at the 2018 World Dance Championships at The Meadowlands in Secaucus, NJ. EPAC Revolution Dance Company is the performance and competition company of Expressions Performing Arts Center, and allows our students in various styles to continue to expand their dance opportunities in jazz, tap, contemporary, hip hop, lyrical and musical theatre beyond our yearly dance recitals through various local and regional competitions and showcase opportunities. Some travel is required. Admission to the EPAC Revolution Dance Company is by audition/placement only. 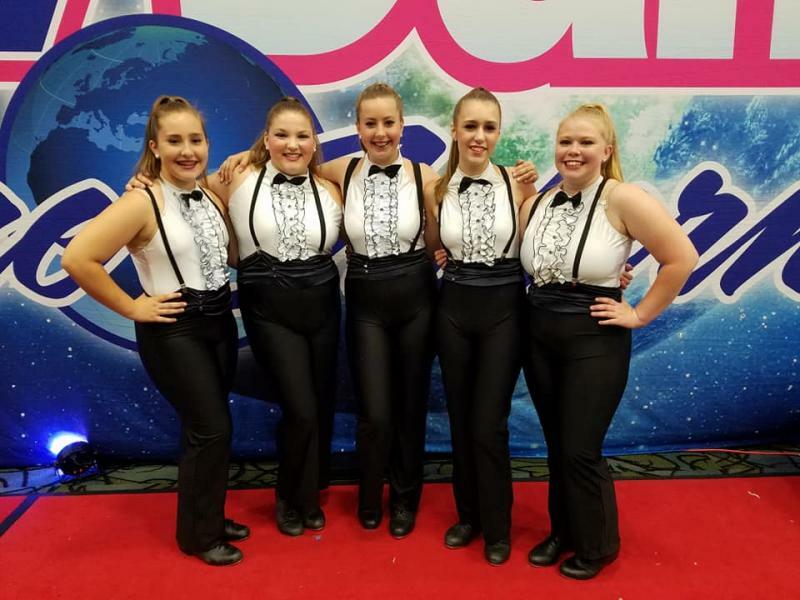 EPAC Company students have performed in local festivals and events, Walt Disney World, Hershey Park, and various competitions throughout NY, PA and Ohio. For more information on EPAC's Revolution Dance Company or Expressions Performing Arts Center, please contact us today. Copyright 2013 Expressions Performing Arts Center. All rights reserved.